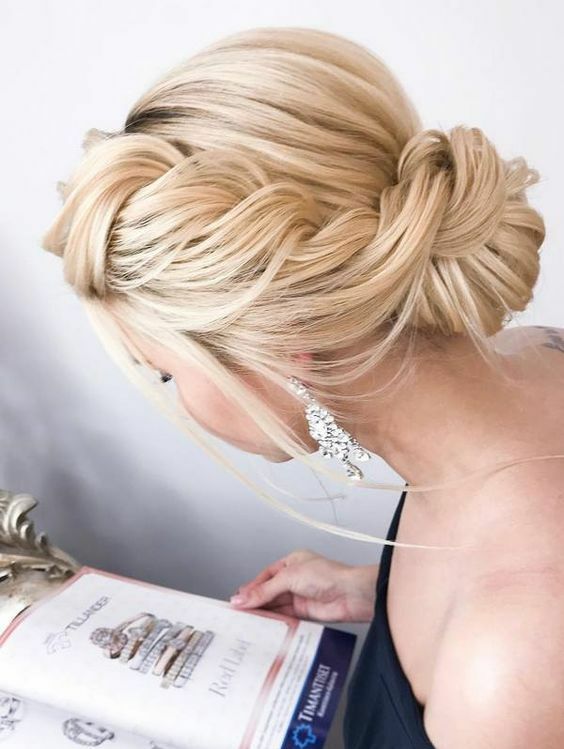 Even if the bride has chosen some dresses and accessories for you, you can still show off your style with shoes, makeup and hair. 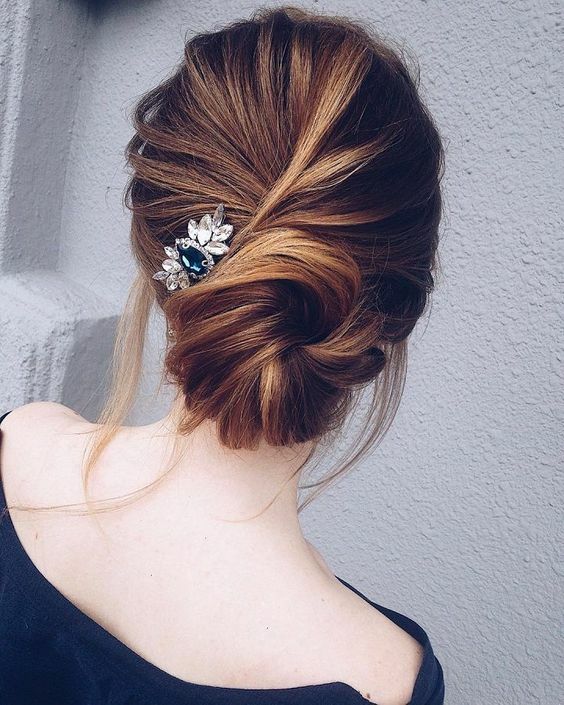 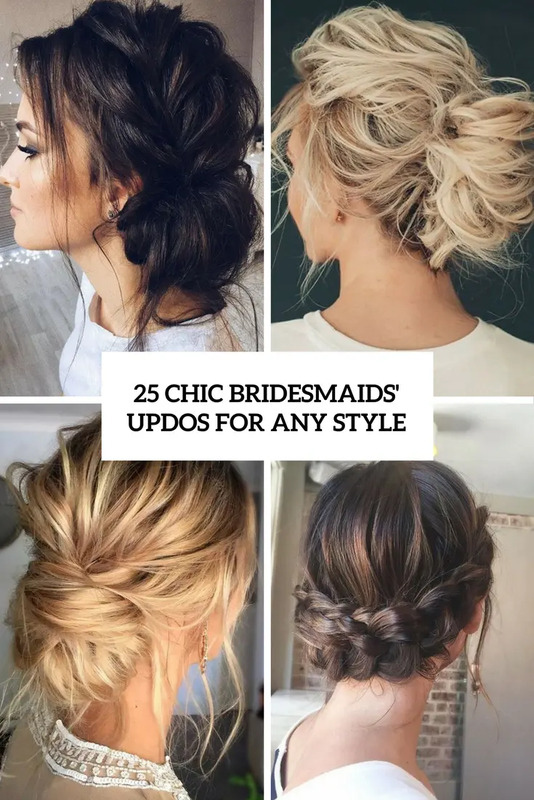 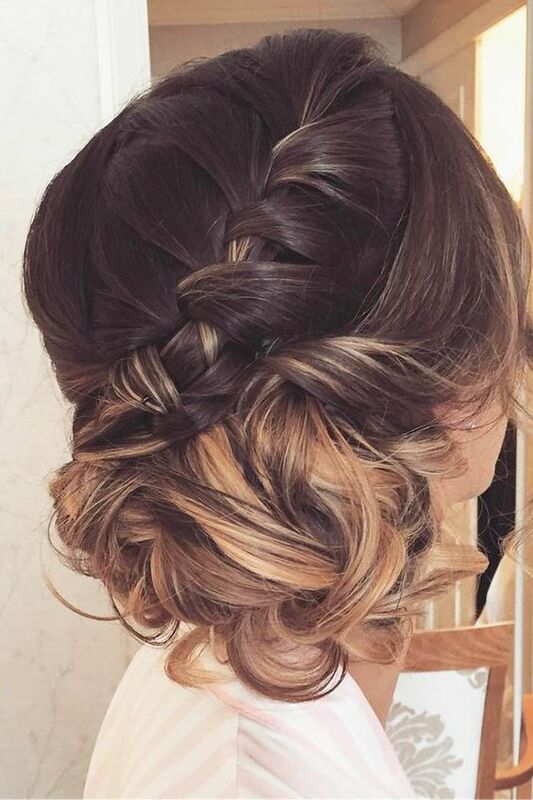 We’ve already shared some cool bridesmaids’ hair ideas, and today I’d like to continue with this topic and share the most popular type of hairstyles for bridesmaids and brides, too: these are updos. 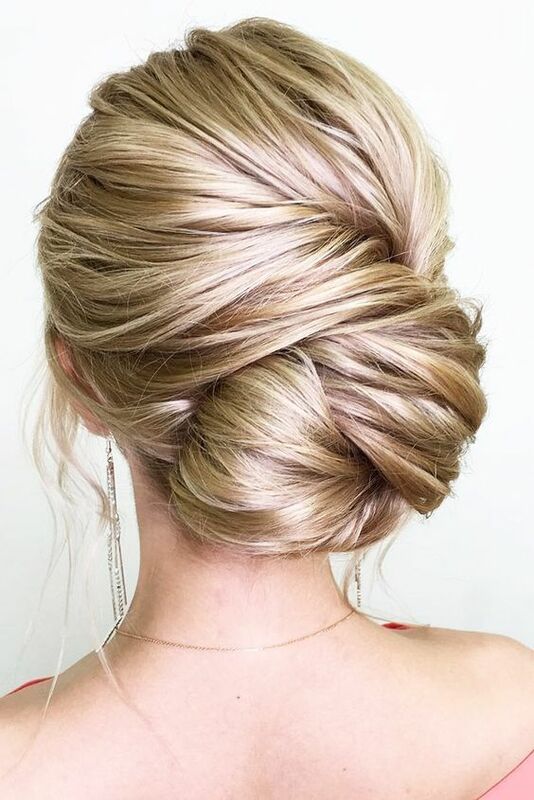 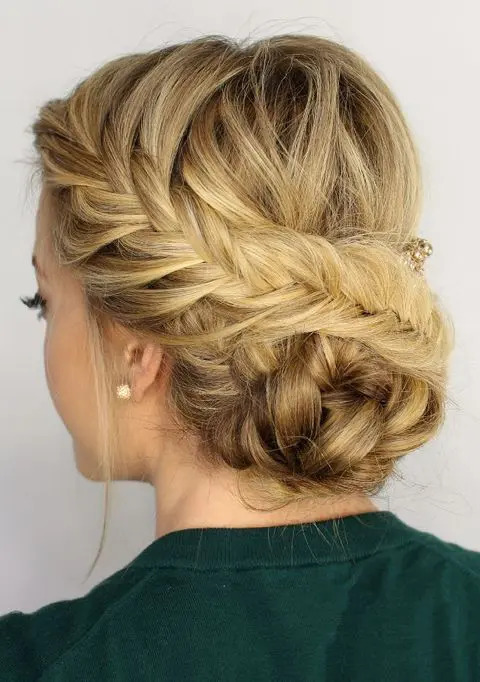 There are lots of kinds of updos – braided, twisted, buns and many other, and you can also find different combos of them, too. 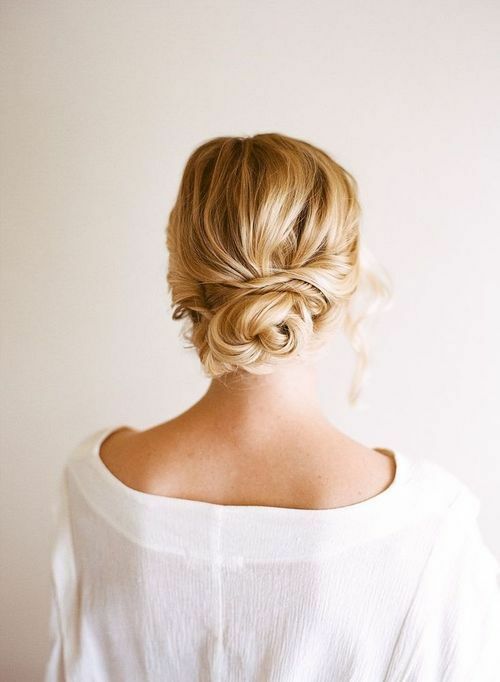 The updo can be messy or sleek, there are options for short, medium and long hair, and ideas for any style. 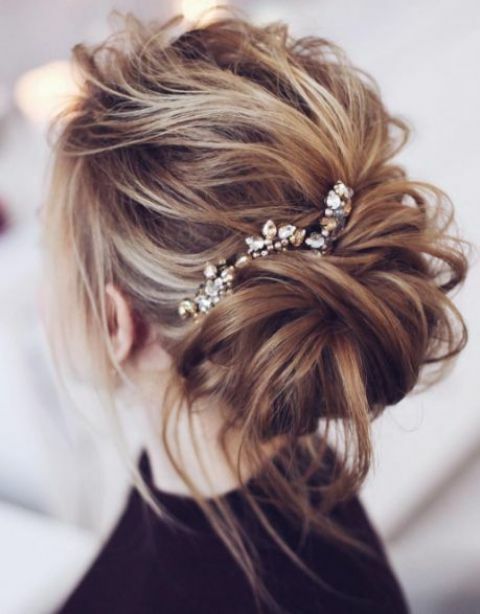 Let’s have a look at some cool ideas to try and maybe you’ll find a perfect option for yourself here. 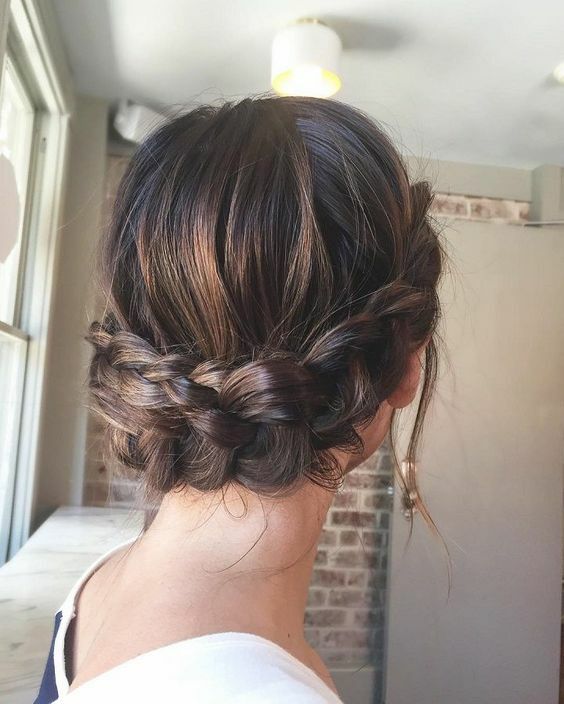 Braids are the most popular hairstyles now, and they are here to stay. 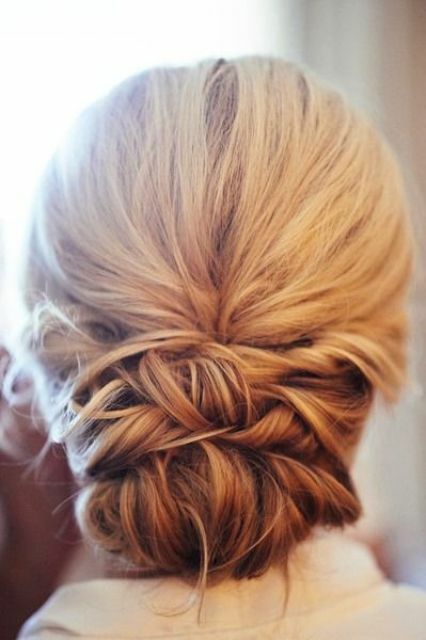 Braids are effortlessly chic, trendy, girlish and easily fit many outfits and looks. 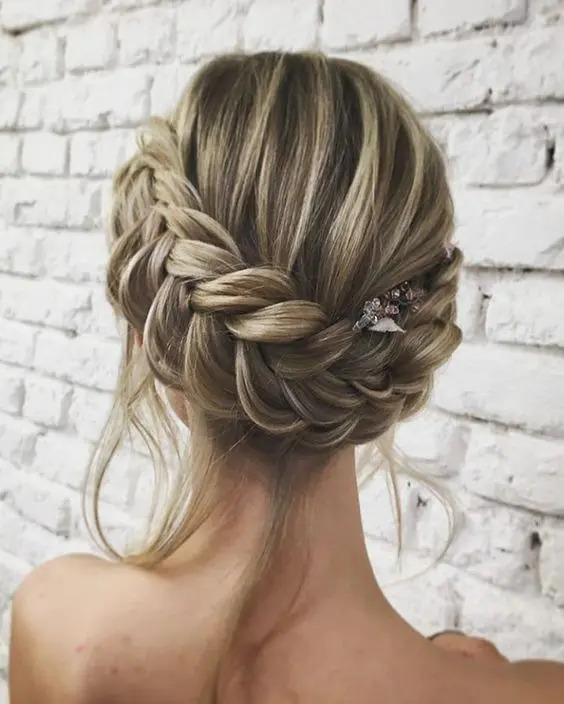 There are different kinds of braided updos: with a side or back braid, with a braided crown or a braided bun, it can be up, on the side, on the back or around your head and there are also double braids – here everything depends on your hair length. 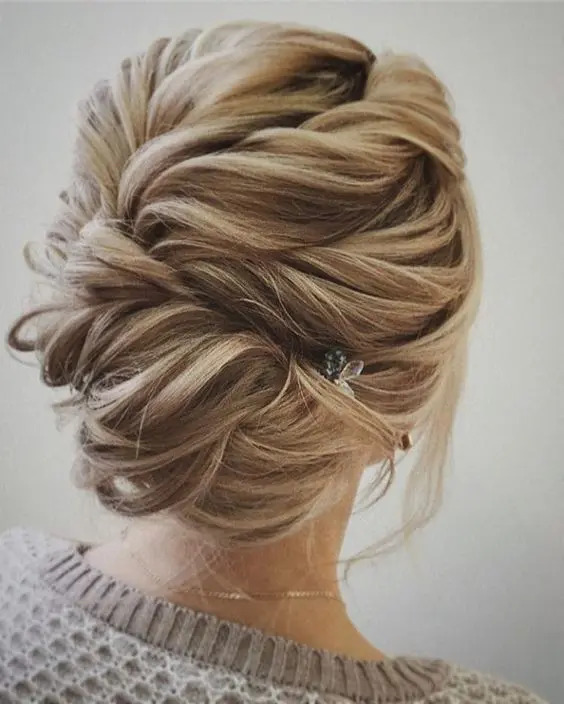 Messy and sleek, usual and fishtail – find what you like and make it to look awesome. 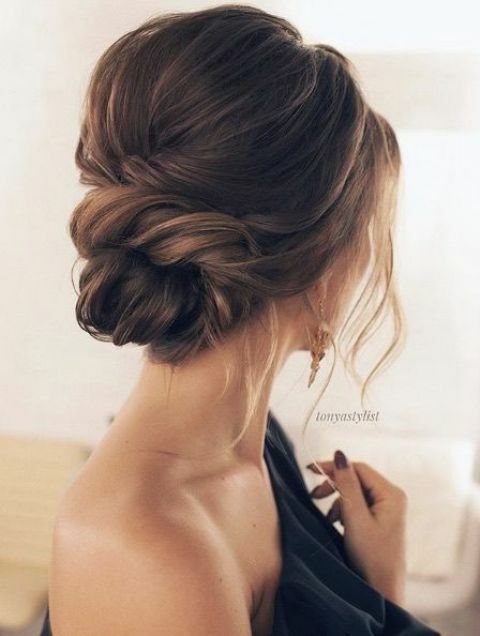 Bins of all kinds have become very popular too because they are very chic, there are lots of options and you don’t need long hair to make one, medium hair or even rather short hair can be done into a bun. 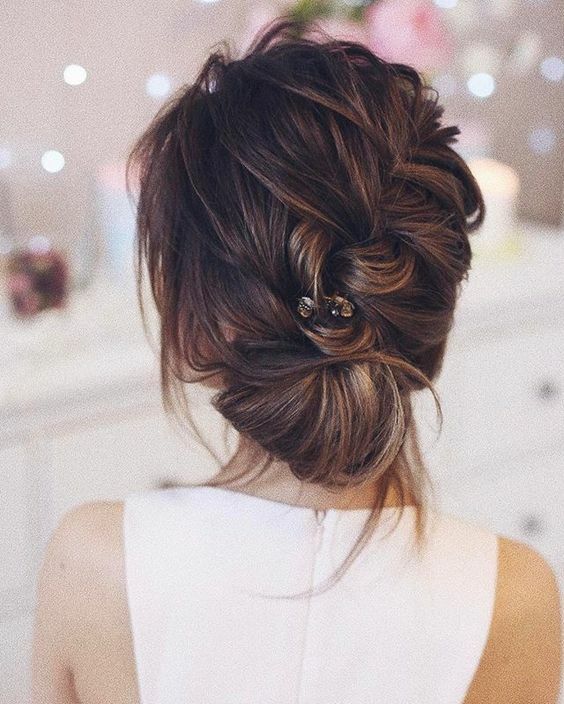 First of all, these are low buns – sleek ones for a more elegant look and messy ones for effortlessly chic looks. 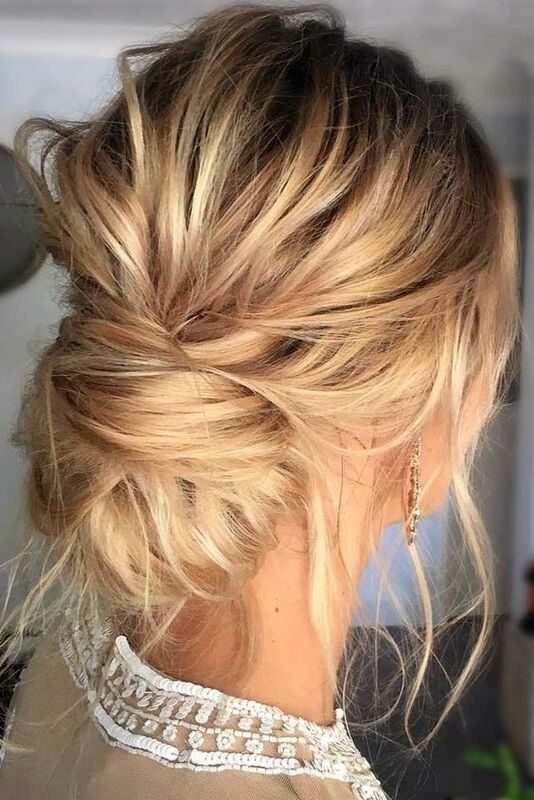 There are twisted and braided buns, you can find some with volume on top or messy hair down, it’s up to you what to rock. 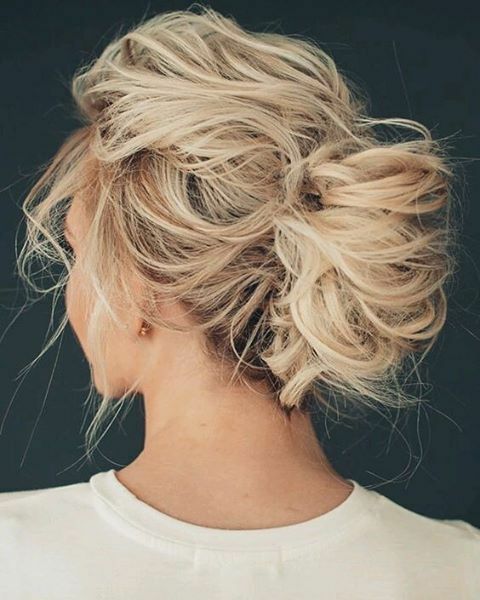 Top knots are also actual, if you want a more formal look, it’s a great idea. 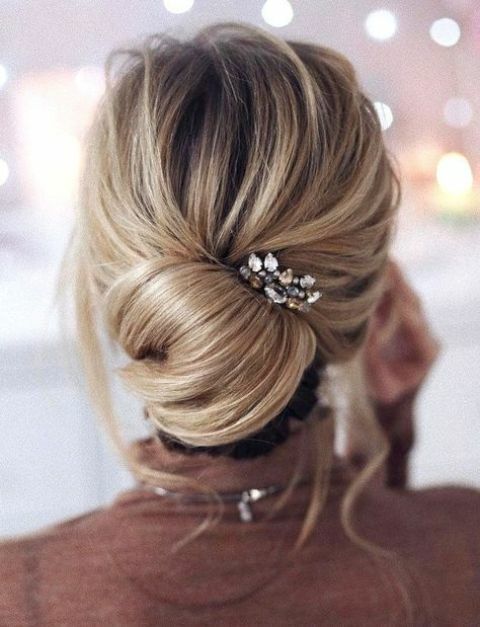 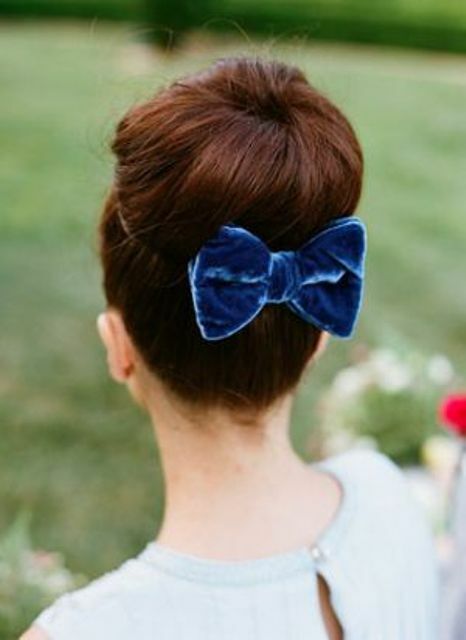 Accessorize your hair with hairpieces or bows for a cute touch. 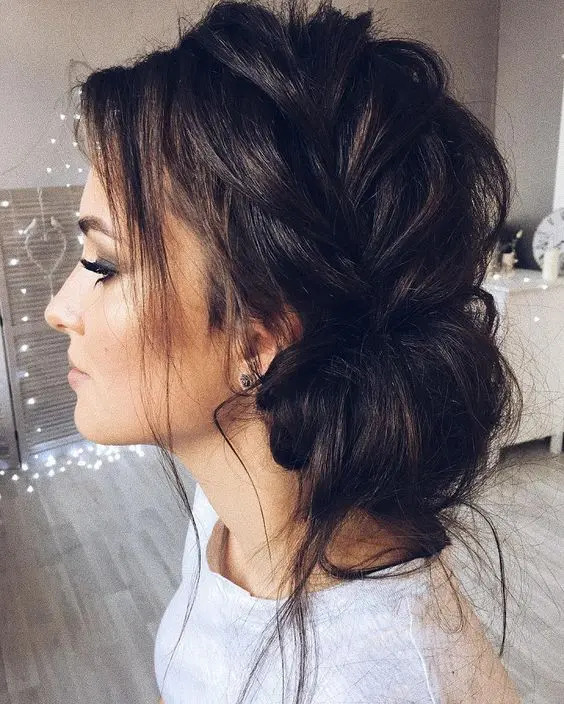 There are more ideas: low twisted updos, various chignons that are comfy even for short hair – you can create an illusion of longer hair with them. 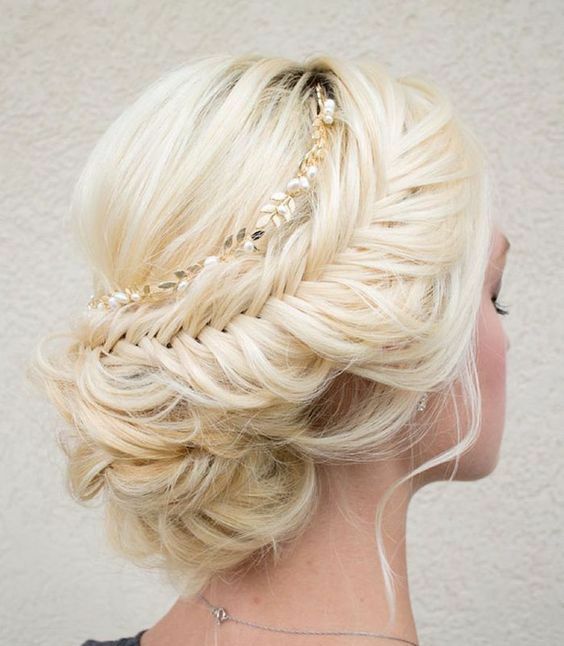 Get inspired and be gorgeous!